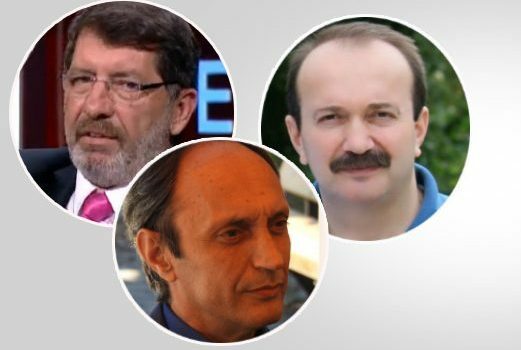 Three columnists from the nationalist Yeniçağ daily were detained early on Wednesday as part of an ongoing witch-hunt targeting the Gülen movement, the daily reported on its website Wednesday. “Yeniçağ columnists Servet Avcı, Adnan İslamoğulları and Yavuz Selim Demirağ were detained in the early morning hours during a police raid on their homes without any [notice] from police,” the daily said. “We have learned that a detention warrant was also issued for our columnist Kürşat Zorlu,” it added. Yeniçağ in addition reported that former Nationalist Movement Party (MHP) deputies Turan Yaldır, Rubil Gökdemir and Alper Aksoy, known to be nationalists, were also detained on Wednesday. The daily said the detention of nationalist figures as part of operations targeting the Gülen movement has attracted criticism because these people have always promoted the nationalist ideology and opposed the movement. Meral Akşener, who is fighting for leadership of the MHP, condemned the detention of the Yeniçağ columnists and other nationalists in a statement on Wednesday. President Recep Tayyip Erdoğan and the Justice and Development Party (AKP) government have turned their media crackdown into an all-out war against critical media members and outlets following a failed coup attempt on July 15. The government has closed down more than 130 media organizations, including three news agencies, 16 TV stations, 23 radio stations, 46 newspapers, 15 magazines and 29 publishers since the failed military coup. According to the P24 website as many as 118 journalists are now behind bars in Turkey. Turkey survived a military coup attempt on July 15 that killed over 240 people and wounded more than a thousand others. Immediately after the putsch, the government along with President Erdoğan pinned the blame on the Gülen movement, inspired by US-based Turkish Islamic scholar Fethullah Gülen. Some 86,000 people have been purged from state bodies, nearly 41,000 detained and 22,000 arrested since the coup attempt. Arrestees included journalists, judges, prosecutors, police and military officers, academics, governors and even a comedian.